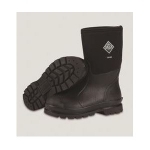 Muck's bestselling Chore Series provides dry, comfortable footwear that's built to handle the toughest job. 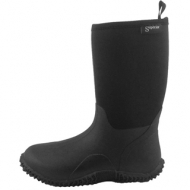 Features: Stretch-fit topline binding snugs calf to keep warmth in and cold out. 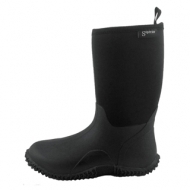 5mm NEOPRENE bootie with four-way stretch nylon,100% waterproof, lightweight and flexible. 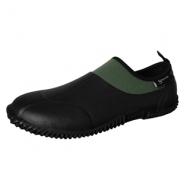 Durable, lightweight rubber outsole. 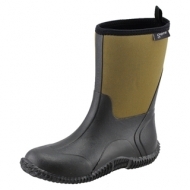 Upper is triple reinforced in the toe area and quadruple reinforced in the heel area. 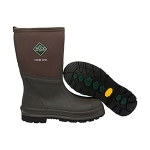 Steel shank for additional arch support. Quick-clean rubber overlay. Height 12”. Available in size 10. This boot is designed to move heat away from your skin and out of the boot to keep you cool!